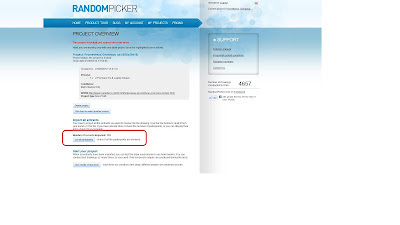 The day has finally come to announce the winner of our "Prometheus" giveaway. The lucky person will get 2 (two) IMAX premiere tickets and one special "Prometheus" laptop sleeve for a 17" laptop. 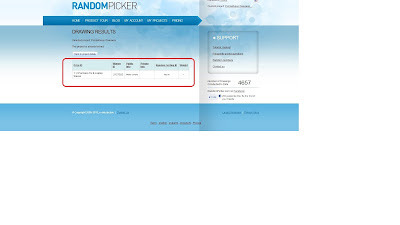 All in all, we had 129 raffle entries for the whole duration of the giveaway. The winner was picked via RandomPicker. 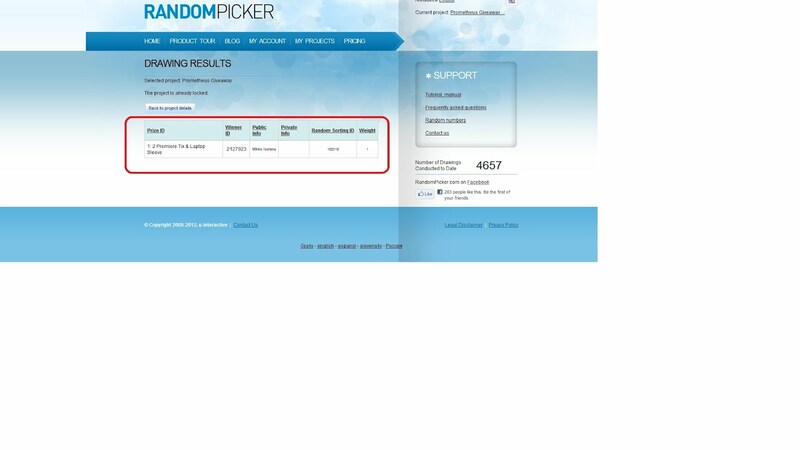 But let's not delay the announcement and without further ado, the winner is Mikko Isorena. Congratulations! We will personally contact you for on details about the special screening and how to claim your laptop sleeve and tickets. Finally, thanks to all who joined and watch out for our future giveaways! You can catch screenshots of our random drawing after the jump.